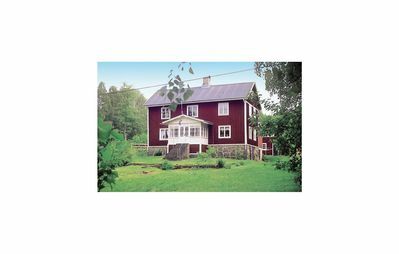 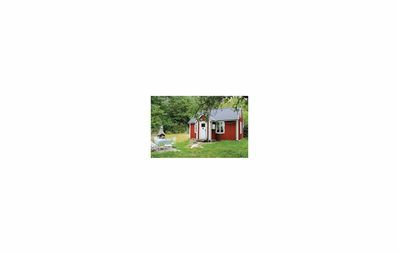 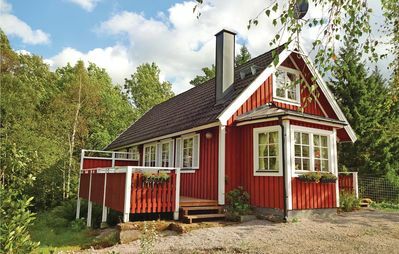 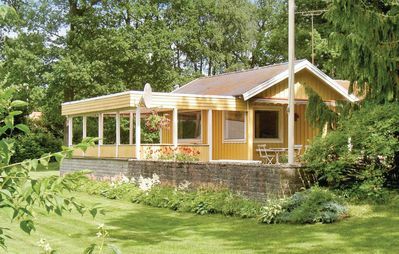 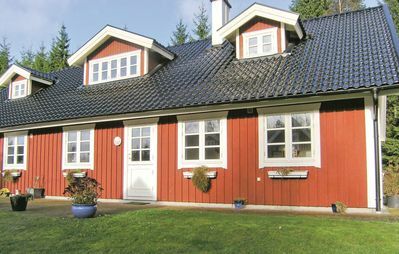 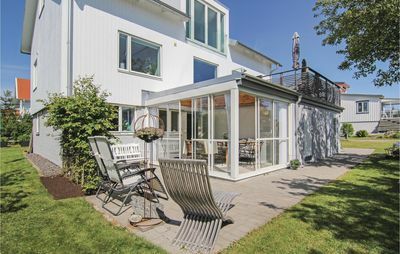 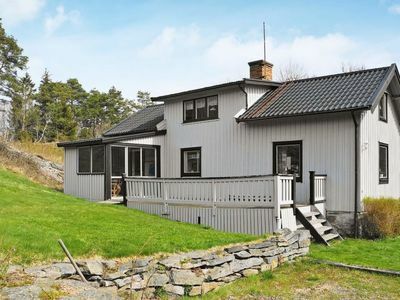 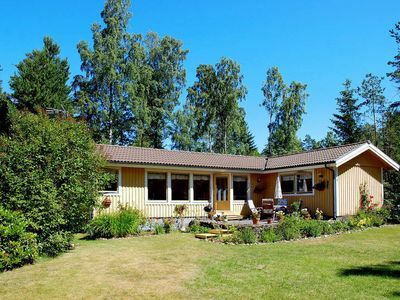 A cosy family cottage, with large living area and open fireplace, facing on a big and beautiful lawn, with views down to lake Siljan. 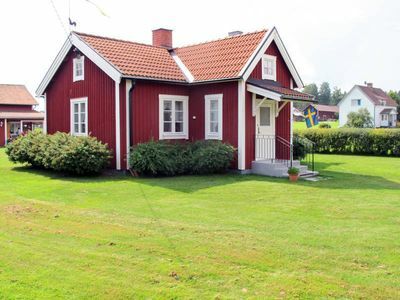 Go swimming, fishing, boating on the lake; walking, cycling through the forest or up Gesundaberget; visit the city of Mora, or explore the heritage of Dalarna! 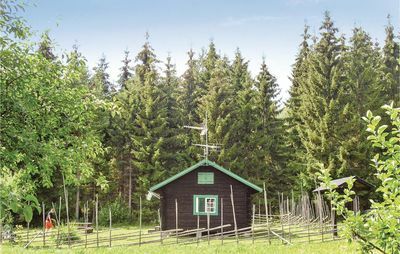 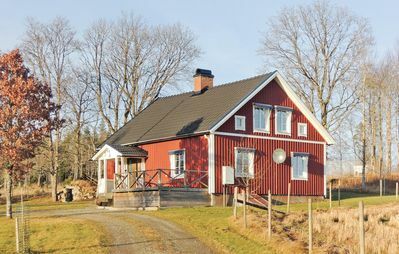 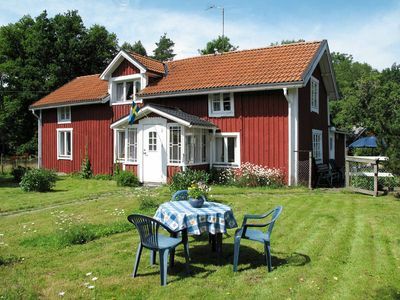 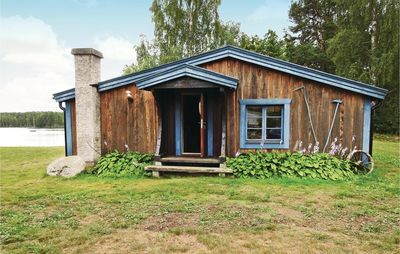 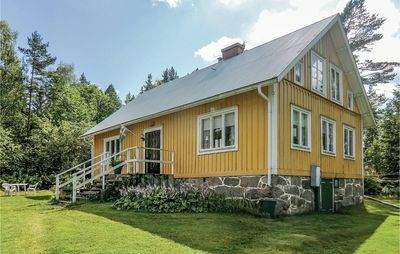 Tomtebo has always been a family cottage, in a traditional Dalacarlia style. 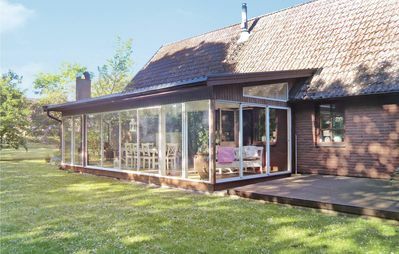 Sit inside warming yourself round the open fireplace, or catch some sun on the patio and in the big garden. 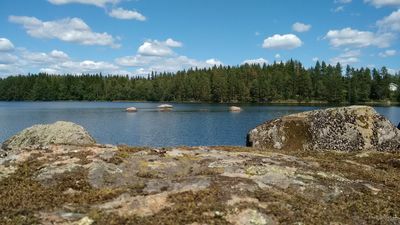 Head down to our jetty on the lake for a relaxing swim, or go see what the rest of Dalarna has to offer! 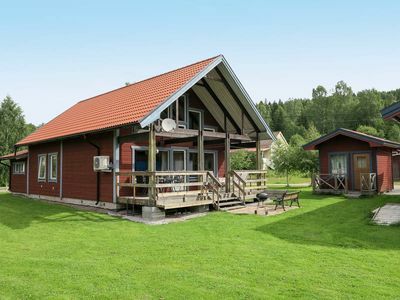 If you're coming for Vasaloppet make sure to book soon as it's always a busy time! 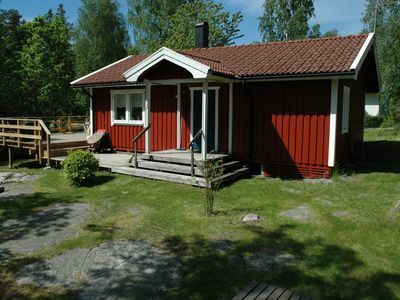 Guests get full access to the main cabin, and big harbre if you need the extra beds. 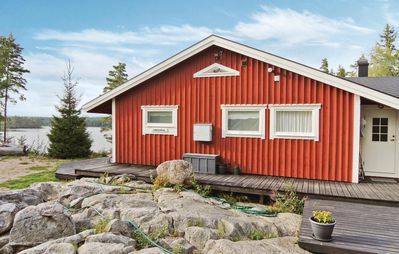 A bit more about beds: There is 1 double bed and 1 double sofa bed (which can be separated into 2 singles) in the main cabin. 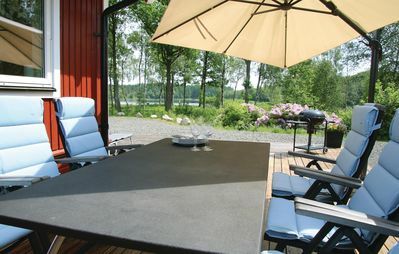 1 double bed in the härbre (which can be separated), and 1 single.